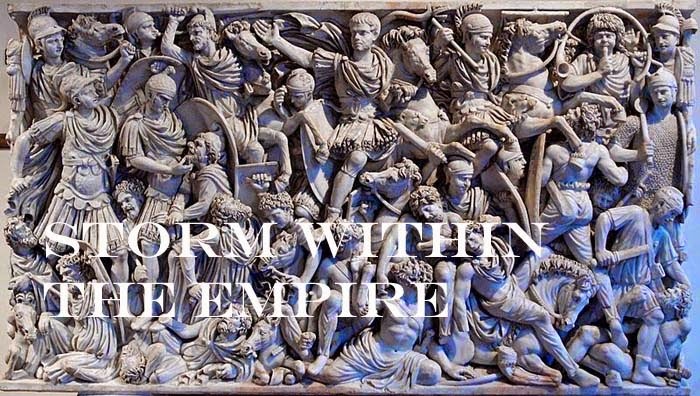 Storm within the Empire: Indigenous Troops in Roman service. Indigenous Troops in Roman service. The Middle Imperial Roman army have one LH per command with an option for an extra LH. For the eastern army, these would represent irregular troops raised from the native realms. I have large numbers of horse archers for Parthian and Sassanid, so I have chosen javelin armed types for which I will use the Lurkio Late Moors. These have a suitable Arab-like appearance and perfect for my Indigenae Idiota. Along with the small order of indigenous (LH) mounted I also added baggage camels. This was my first order with Lukio miniatures, but the horses are a bit taller than Old Glory ones, but that should not be noticeable when painted. Quality of castings are very good with virtually no cleaning needed. The attendants for the camels are actually Moorish slingers and these match well with Old Glory figures. Lovely work - and great use of the slinger model as a camel train driver! Thank you for catching that. My extras or surplus figures always seem to find employment in the most bizarre ways. Next post will cover the Roman General officers with a few surprises.